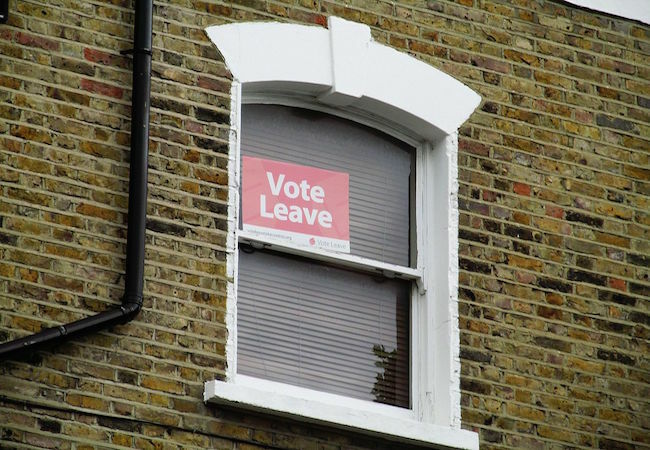 Home BUSINESS How will Brexit impact online retailers? Since the UK’s decision to leave the European Union was made in June last year, it seems the government and EU negotiators are changing their minds daily. At the time of writing, even positions like Britain’s participation in the European single market, post-Brexit, have yet to be clarified. It may be for this reason that figures from Globe-e reveal that 68% of the 250 UK retailers surveyed have yet to start planning for the effects of the incoming changes. Opinions are evenly split on who the main beneficiaries of the Brexit deal will be. Many argue that the cost of leaving, and the resulting impact on businesses, could be devastating. Warning of irreversible damage to both the UK and EU finances. Whereas, other hardline ‘Brexitiers’ believe that the negotiations present a once-in-a-lifetime opportunity to remove the shackles of EU bureaucracy. Enabling Britain to make prosperous new trade deals across the globe, away from the heavily-regulated 28-nation EU trading bloc. The impact on UK business owners with e-Commerce brands will be highly significant, as the UK is one of the biggest countries in the world for online retail. In fact, Britain’s market accounts for 14.5% of all e-Commerce sales, equating to more than €153 billion in sales for 2016. However long business owners will have to wait for concrete answers, bosses will need to start planning for the up-and-coming business challenges ahead. Freedom of movement and the right to remain, for the millions of EU citizens currently living in the UK, is one of the most complex issues facing the negotiations. Potentially the UK workforce could take a severe hit, as business owners and the public sector struggle to re-fill vacated positions. Further, if the cost of obtaining new workers becomes too high, private businesses already established in this country may look to move to the EU mainland, to ensure that they can still benefit from the staffing flexibility of the EU’s freedom of movement rights. e-Commerce brands, in particular, will need to secure their workforce in areas like customer service and supply chain, particularly if their business relies on multilingual communications. Exporting rules bound by EU regulations will also need to be completely re-planned when the final deal hits the table. In the short-term, the impact on online retailers could be negative, as markets respond badly to uncertainty. UK brands using North American ecommerce environments like Shopify, may be slightly worse off — depending on final trade and tax negotiations: there is no clear roadmap for dealing with this transitional period. Since the irreversible article 50 was triggered earlier this year, the pound has already fallen to its weakest level in 31 years. Making it more expensive for UK retailers to purchase inventory. Inflation has also risen and the increased costs are currently being passed onto UK shoppers. In contrast, major online retailers in the UK have also seen an increased amount of orders from foreign customers, looking to exploit the pound’s weaker position and bag some bargains. For brands looking to make the most out of this, promotion and offers like free shipping could help UK businesses draw-in these overseas customers, looking to cash-in on high ticket items like electronics. Retailers will also need to reexamine their UK purchasing and sales forecasts over the next two years and beyond. According to a report released last year by the Digital Clarity Group, online retailers should take care of UK shoppers ‘feeling the pinch’ of the shrinking pound. Offering these consumers exclusive online deals and product ranges could help regenerate sluggish sales figures in the short to medium-term. Until the final decisions on trade tariffs have been decided, UK business owners should also be reconsidering their relationships with their EU-based suppliers, and vice versa. If the cost of exporting becomes too high, the rush to find affordable replacement suppliers could put some businesses behind. This could, however, present a potentially lucrative opportunity for specialist manufacturers based in the UK, as demand could surge from UK companies. British business owners looking at preventing attacks to their bottom-line should, therefore, look at buyer behaviors and consider how economic uncertainty could cause consumers to tighten their belts. Setting up an online store to deal with currency conversion and localised deals automatically would be a wise move for e-Commerce brands looking for full control and flexibility in their methods of payment. Keeping an eye out for the latest news and developments will help you navigate these complicated new circumstances, so keep your eyes peeled for updates! Victoria Greene is a freelance writer who specializes in e-Commerce and branding. She writes an advice blog at Victoriaecommerce.com and consults business owners on the challenges and opportunities online selling presents. Can Edi Rama’s government overthrow radical Islam?